Grey days, winter blues and snowy whites are common in February. 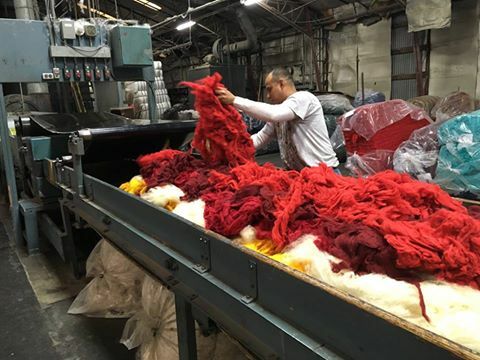 Inside Kraemer Yarns, we are bursting with color! Today we will share a few ways you can add color to your projects! Adding color to your knitting or crochet project can range from simple duplicate stitches or stripes to complex multi-color fair isle! Remember, there are no knitting or crochet police! You can start with a solid color project and add color as you see fit. If the pattern is written for multiple colors, feel free to swap out a color or two for the ones you really like! Sometimes, though, you need a pattern to get you started. Shown above are just a few from the ever-growing collection at KraemerYarns.com: (clockwise from top left) Ranch Rose Sweater in Stotts Ranch Worsted, Sporty Stripes Hoodie in Perfection Chunky, Fair Owl Hat in Perfection DK, and Slip Stitch Stripe Hat & Mitts in Perfection Chunky. 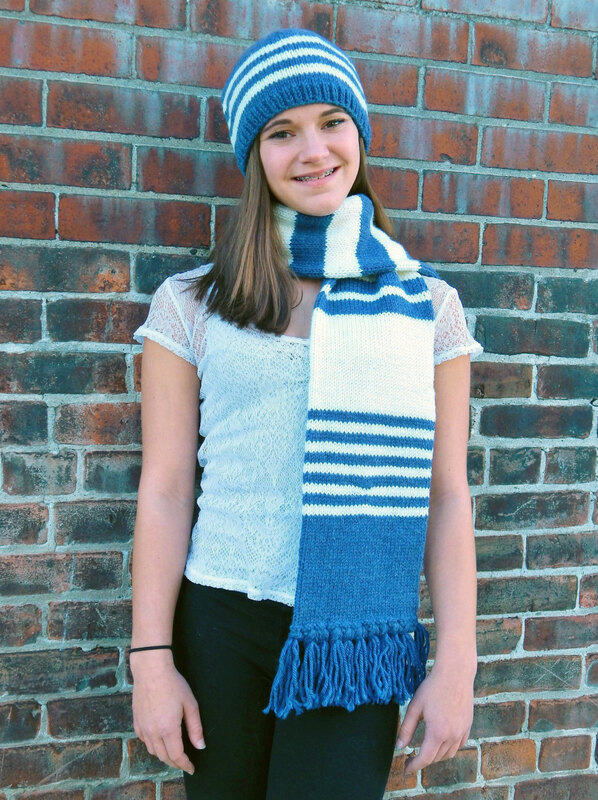 Colorwork Projects from Knitters Like You! 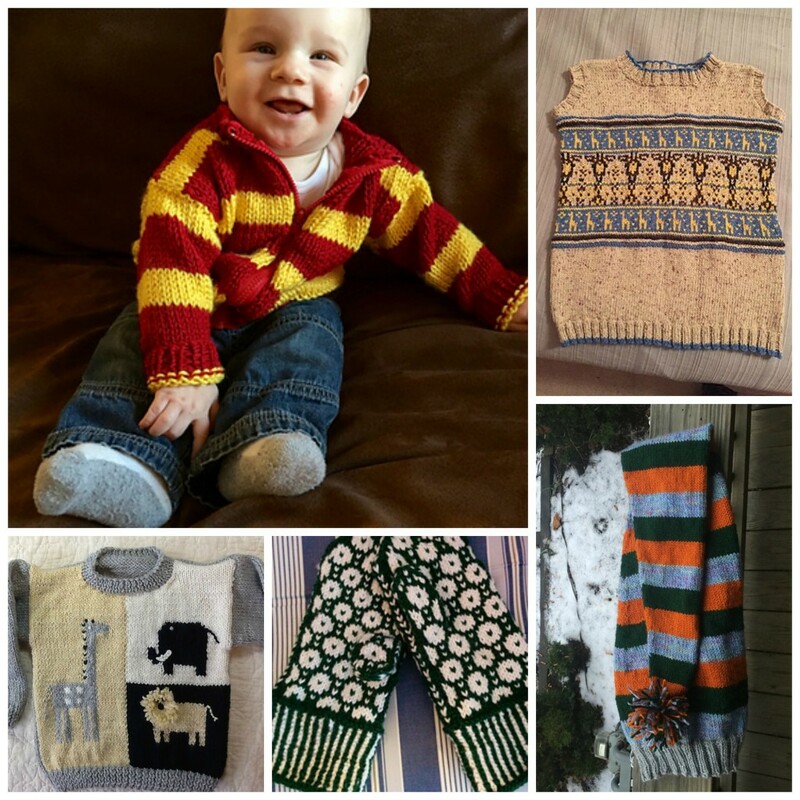 Here are a few projects we spotted on Ravelry that are really rocking the color! Shown above (clockwise from top left): Knittingcoach’s Baby Game Day Sweater in Perfection Worsted, shartogh’s Giraffe Vest in Tatamy DK, gypsyyarns’ Randy’s Stocking Cap in Perfection Tapas, kuna13’s Scandinavian Spots in Perfection Worsted, and jannknitt’s Animal House Pullover in Perfection Worsted. What color combinations are you obsessing over? Do you have a tip or trick to share for working with multiple colors? We’d love to hear from you, leave your comment on this post! In honor of March being National Crochet Month, Kraemer Yarns would like to spotlight the beautiful projects be worked with a hook and our yarns! Crochet stitches can create a very different fabric texture than you can with knit stitches and the projects range from cute and cuddly toys to cozy blankets and gorgeous garments. The crochet section of the Kraemer Yarns free pattern collection has something for everyone and is beginner friendly. We have baby booties in Perfection DK and a Crochet Baby Blanket in Perfection, a classic baby gift to create in an easy-care yarn! Maybe this spring you could use a practical Go To Market bag in Tatamy Tweed DK, or a trendy Flower Infinity Scarf in Sterling Silk and Silver? We are in the final stages of editing two new crochet patterns, so please stay tuned! 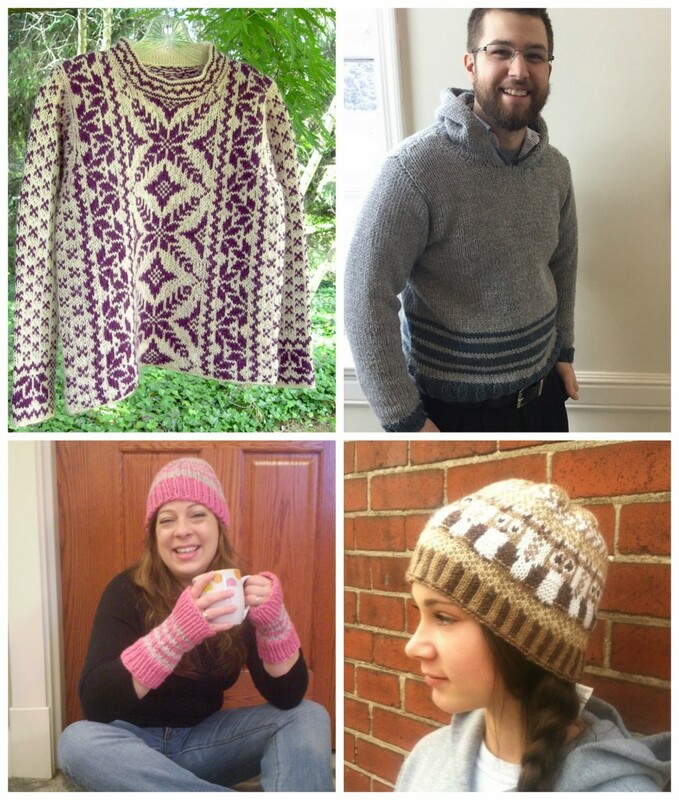 Sharing your projects on Ravelry is a great way to inspire others. 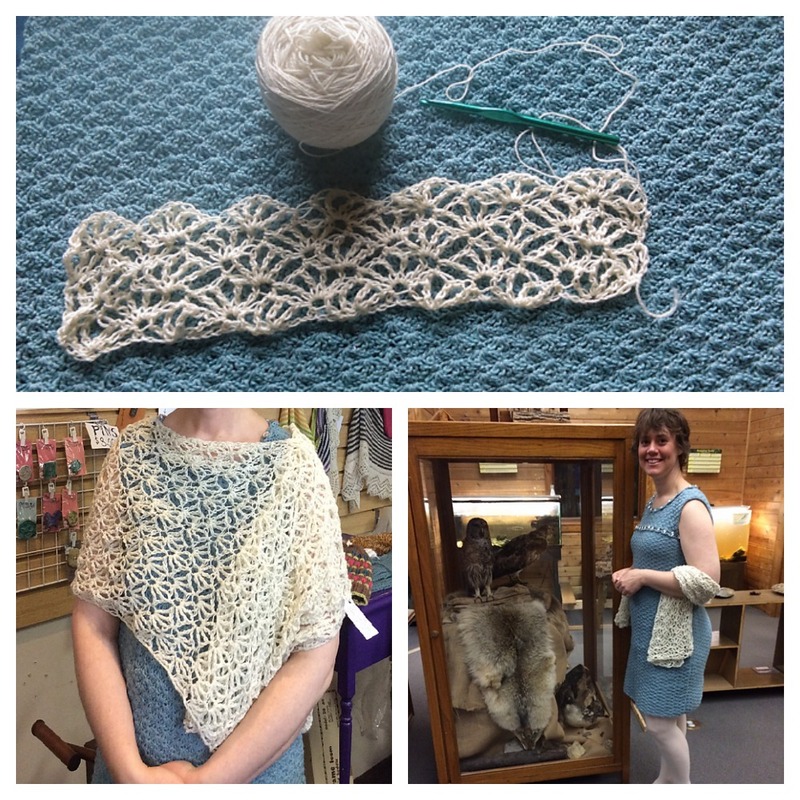 We absolutely love this Textured Shell Stitch Wrap that LaTomBoye crocheted in Sterling Silk and Silver. Then we spotted her dress! Also crocheted in Sterling Silk and Silver, the Silver Skimmer is a 1968-1969 McCall’s pattern. LaTomBoye’s project notes are quite extensive, and we think this is an amazing project! You’ll also want to take a look at our Pinterest Crochet board. We’ve curated the board to include tips, tricks, project ideas and more! Do you have a crochet tip or project to share? You can find us on Ravelry, Instagram, Twitter and Facebook!